REQUEST FOR INFORMATION – Please turn over your panels! At the recent CODART TWINTIG conference in Warsaw, JVDPPP made a request for information during its Speaker’s Corner session. 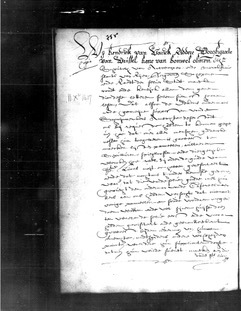 In the next phase of the website, we will be publishing the original (and a translation) of the 11 December 1617 regulation issued by Hendrick van Varick, the Bailiff of Antwerp and the burgomasters, aldermen and council of Antwerp to the panel makers in the Guild of Saint Luke and the separate Joiner’s Guild. It ordered the inspection and branding of panels (with the castle and hands of Antwerp) by the dean of the same trade in the Guild before they were allowed to leave the panel maker’s house. Of the 38 panel paintings with Antwerp brands encountered by the project so far, 19 were made by separate irons rather than a single iron. That is, a separate iron for the Castle and one or two separate irons for the hands, as can be seen on the reverse of the Jordaens Adoration of the Shepherds in Vicenza, below. Therefore, JVDPPP is extremely keen to establish the dates during which the separate branding irons were used on panels. 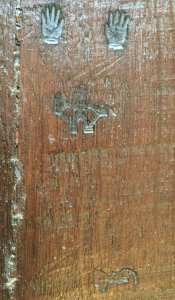 We are searching for paintings on panels, by ANY Flemish artist, which have separate branding irons on the reverse and which are dated on the front. 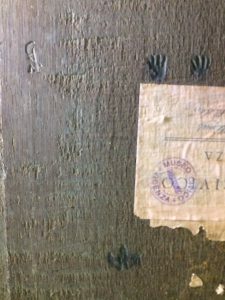 We urge curators and collectors to please turn over your panels and contact the project, jordaensvandyck@gmail.com, if you can find a date on the front and the castle and hands some way apart from each other on the reverse. J. Wadum, ‘The Antwerp Brand on Paintings on Panels’, in Looking Through Paintings. 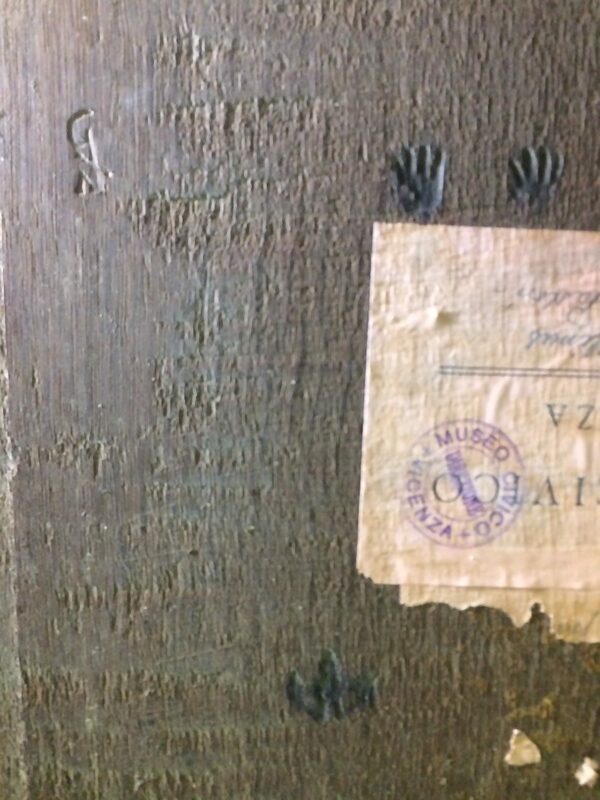 The Study of Painting Techniques and Materials in Support of Art Historical Research. E. Hermens (ed. ), Leids Kunsthistorisch Jaarboek XI, (1998), pp. 179-198. How to cite: Davies, Justin. “REQUEST FOR INFORMATION – Please turn over your panels!” In Jordaens Van Dyck Panel Paintings Project.